These "funky, chunky fringe bracelets" are sure to make a statement! Not for the faint of heart (or weak of wrist) these bold pieces are eclectic, whimsical, and sure to bring a smile! 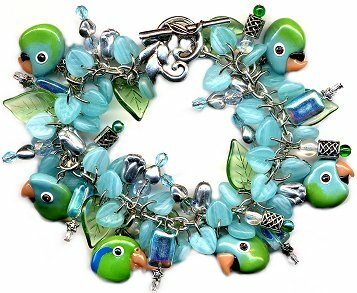 Pick your favorite color scheme, parrot species and number of birds, choice of clasp style, and your bracelet will be custom made for you! 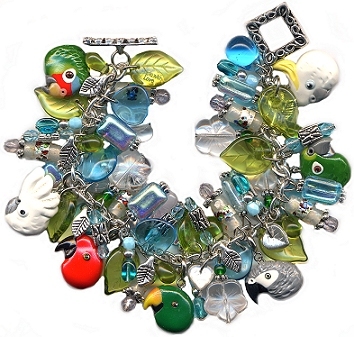 Price starts at $90.00 for the bracelet "base", which includes the sterling plated chain, glass beads, clasp, and then $38.00 per parrot charm that you want added. 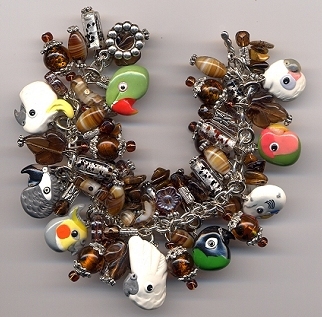 Each bracelet starts with a sterling plated chain, and is created with your choice of parrot face charms, which each measure about 3/4 of an inch. 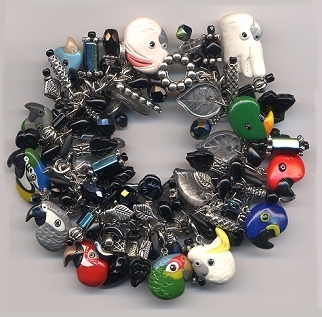 The piece is then loaded with a "fringe" of unique glass beads, sterling silver, surgical steel and other metal beads and findings. 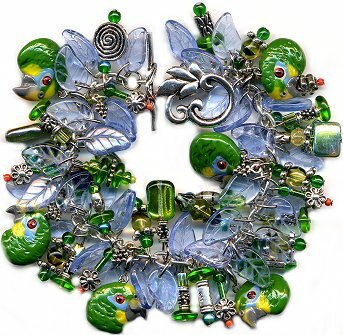 All pieces include whimsical beads, pressed glass leaves, various metal charms, czech glass, faceted glass, and much more! (No plastic is EVER used!) 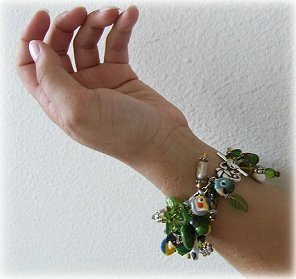 Please note that because so many GLASS beads are used, the bracelets are heavy! A toggle clasp finishes off the piece. The bracelet will be made to your choice of length to fit just right! 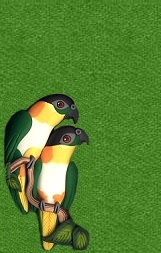 Please see some of the examples below for an idea of what your custom creation could look like! 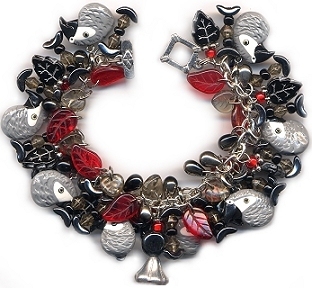 For simpler bracelet designs, see the Bracelet page, and for individual charms, see the Charm page.